From my very first introduction to chemistry at primary school, I have associated chemistry with conical flasks, Bunsen burners, and the ever-present round-bottom flask. 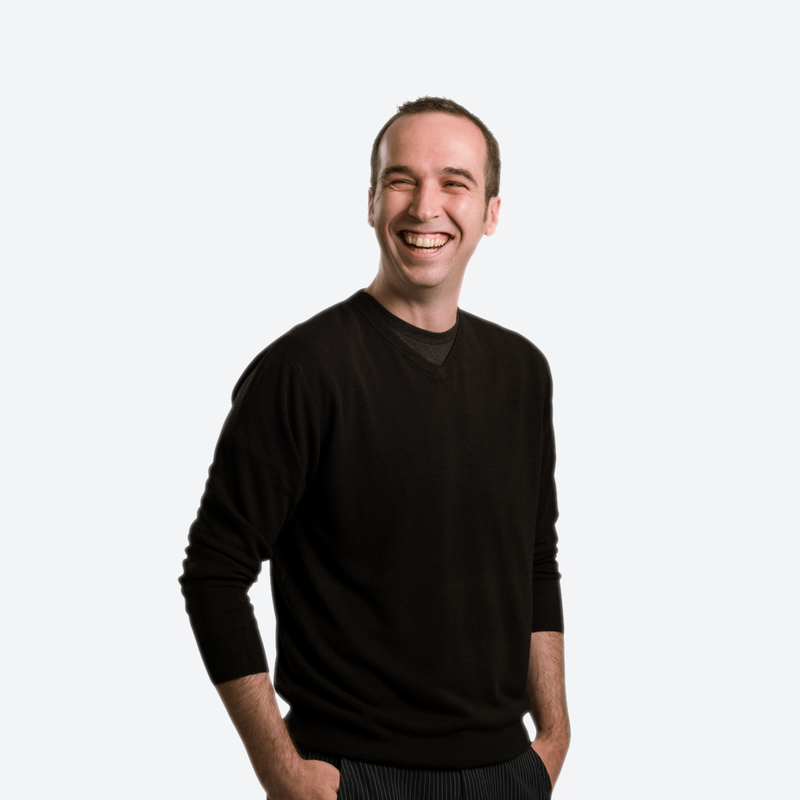 Speaking from experience, chemists tend to be creatures of habit – myself included – requiring a relatively high level of activation energy to make changes to methodology and/or technology. 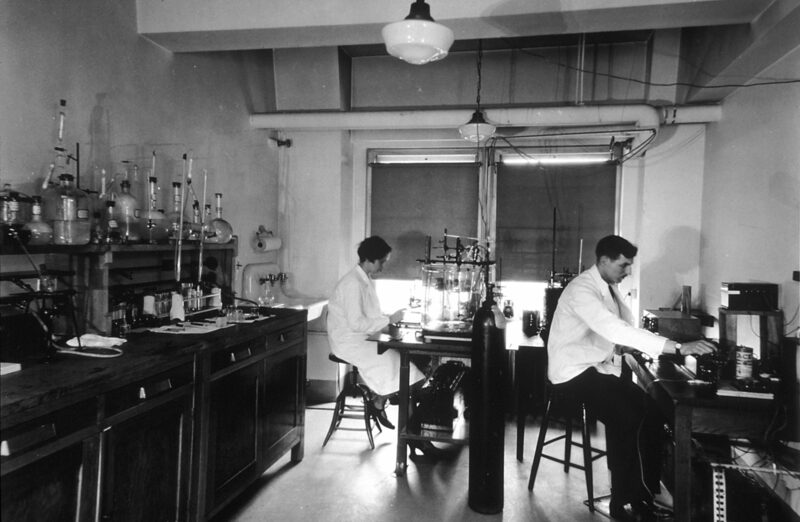 This is highlighted by the fact that synthetic methods and tools have remained largely unchanged over the last 200 years, meaning nearly every chemistry lab in the world has an extensive collection of round-bottom flasks. This reliance on traditional methods has placed restrictions on synthetic chemistry; limited temperature ranges, lack of repeatability, and the need for constant experiment supervision. These difficulties fly in the face of the ever-growing pressure on synthetic organic chemists to develop innovative chemical reactions and compounds quickly and efficiently. 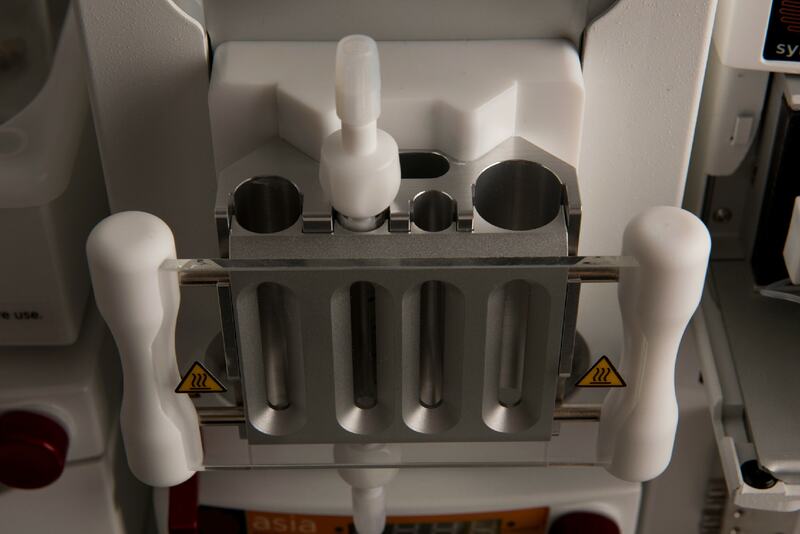 This post aims to introduce how modern laboratory technology – such as jacketed reactors and software automation – can enable you to perform more reliable, consistent, and reproducible chemistry, even when you’re away from the lab bench or fume hood. During my Ph.D. I worked almost exclusively at 4 temperatures: reflux, room temperature, 0 °C, and -78 °C. This limited temperature range was selected purely for the relative ease of maintaining reactions at each of these temperatures, something I’m sure many chemists can identify with. Accurately controlling these temperatures is still tricky, despite being “relatively easy” to maintain. I once, foolishly, attempted to carry out a 4-hour reaction at -40 °C, which involved adding dry ice to an acetone bath piece by piece until I reached the desired temperature. Needless to say, my temperature control was less than ideal, as each piece of dry ice added to the bath would cause the temperature to drop by a few degrees before slowly returning to -40 °C. In reality, chemistry can be carried out across a far wider spectrum of temperatures, offering the possibility of better selectivity, improved yield, or the avoidance of unwanted side-products; but it’s hard to achieve and/or maintain temperatures other than the “big 4” mentioned above with traditional lab glassware. 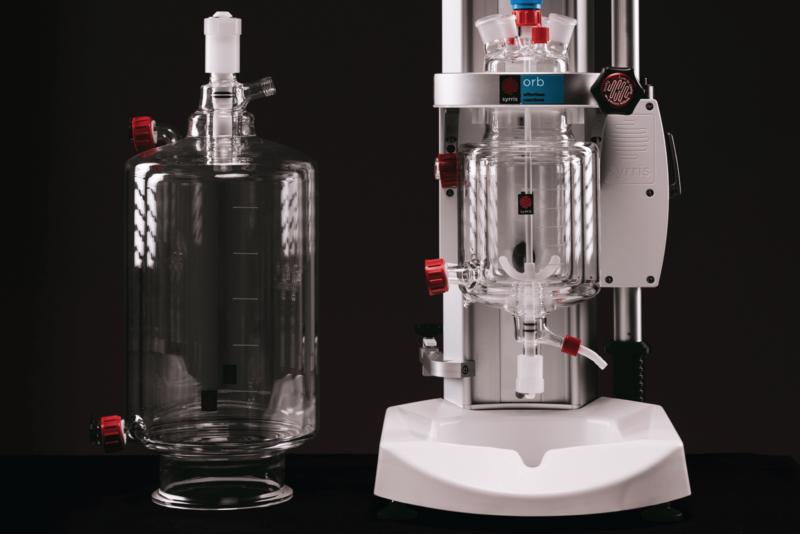 Advancements in laboratory glassware have led to the creation and widespread use of the jacketed reactor – double-walled glass vessels that allow for a “jacket” of oil to surround the reaction. This oil is constantly circulated by an external circulator and provides pinpoint accuracy in temperature control down to fractions of degrees. 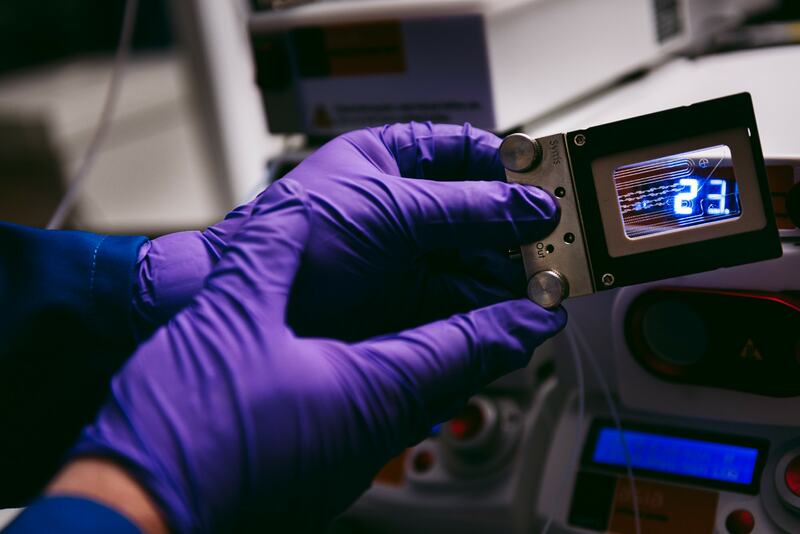 Not only does this enable much more consistent reaction temperatures, but it also provides easy temperature “ramping” – something that’s virtually impossible with round-bottom flasks. Jacketed reactors are available in a huge range of sizes, from as low as 50 mL through to 50 L (or more), depending on your chemistry and scale. The second challenge facing chemists is freeing themselves from having to constantly interact with and monitor their reactions. My story above is just one example of when I had to stand in front of a lab bench, slowly feeding dry ice into my round-bottom flasks for 4 hours. Constantly supervising your reactions is time-consuming, and, frankly, boring. I love performing chemistry, but it’s hard to deny that some parts of it are frustrating. It prevents you from performing other chemistry at the same time or can get in the way of taking the time to expand your knowledge by reading interesting papers. 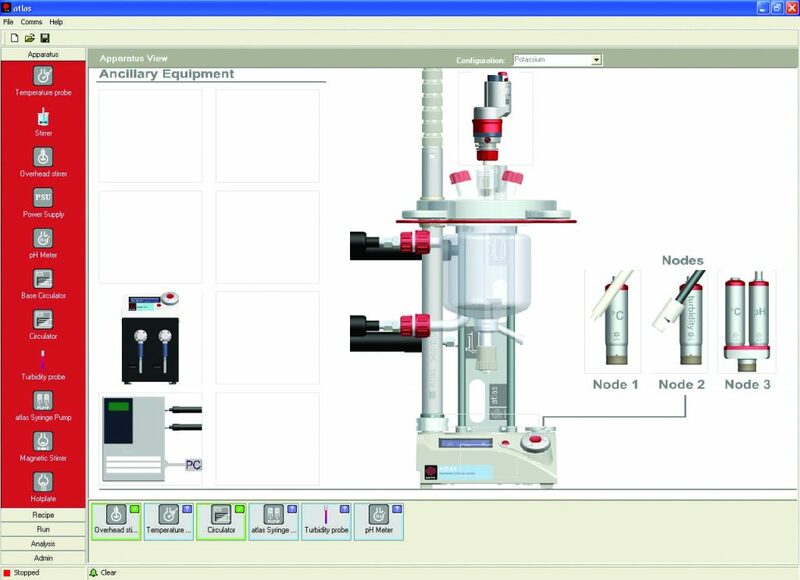 Jacketed reactors, when combined with software automation, enable truly automated, walk-away chemical synthesis and have revolutionized the chemistry lab. Automated jacketed reactors and automation add-ons for manual jacketed reactors use intelligent software that can control and constantly monitor your reaction through a number of probes (temperature, stirring speed, pH, turbidity, etc.). Working in conjunction with a circulator and temperature probe, the software can automatically compensate for any temperature fluctuations (exotherms/endotherms) by heating or cooling the oil flowing through the jacket. Combined with intelligent pumps you can also set up automated temperature-dependent and pH controlled dosing into your reaction. Taking the intelligent automation further, you can set up entire complex recipes for your chemistry. Set-up your complete reaction prep, including all temperature set-points and reagent dosing and then walk away, allowing reactions to run autonomously, even when you have gone home for the evening/weekend! Smart safety features monitor your reaction and can shut it down in the event of reaching user-defined limits. The ability to set and forget your chemistry frees up your time to analyze data from previous experiments, design your next reaction, or catch up on interesting publications you’ve been eager to read. Nearly all chemists will at some point have scratched their head when two apparently identical experiments produce significantly different results. This is all the more frustrating when you’ve had to supervise a reaction for hours on end. A perfect example of this comes from my time supervising an undergraduate student during his final year research project. We were carrying out a rearrangement reaction using a weak base and had to keep the temperature at -90 °C to avoid unwanted side-products. No matter what we did, his reactions would not provide the desired product while mine would. As much as I would like to think it came down to my superior laboratory technique, even when we did the experiments side-by-side, we still had significant differences in success. Automation software automatically collects and logs all data from your reaction in real time. No reaction events escape detection, allowing your reactions to be compared side-by-side. This enables you to identify any differences in reaction conditions between experiments – particularly useful when things haven’t gone quite to plan! 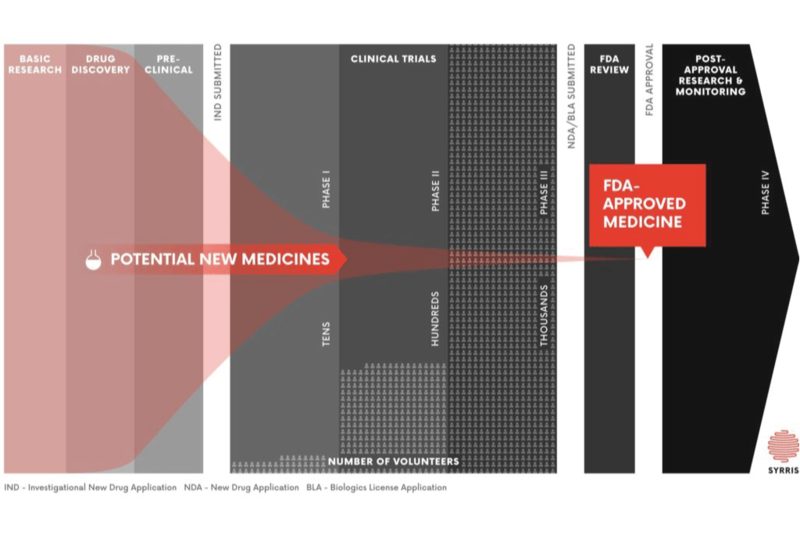 When combined with a preconfigured recipe, researchers can be confident that their experimental conditions will be the same every time – it’s just a matter of pressing “Start” and letting the system perform the reaction with no room for human error. 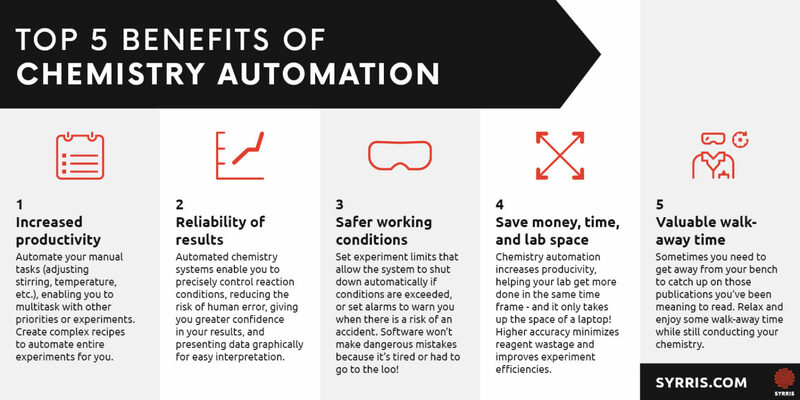 We’ve put a whole blog post together covering the top 5 benefits of automated chemistry systems, but you can see the short version in the infographic below. But wait! What about continuous flow chemistry? I’d be remiss if I failed to mention continuous flow chemistry techniques when talking about “modern chemistry technology” and improving upon traditional chemistry. 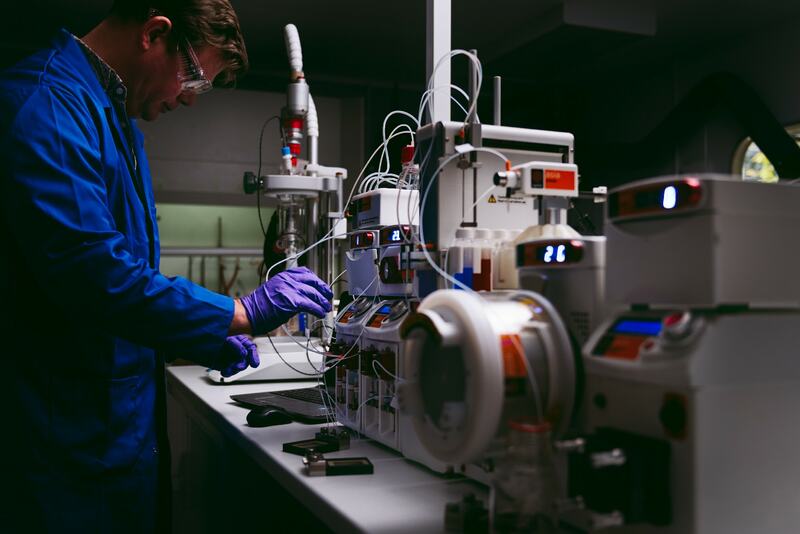 Continuous flow is a radically different approach to performing chemistry and involves pumping reagents through tubes or pipes – but it is far too big a subject to cover in this blog post. 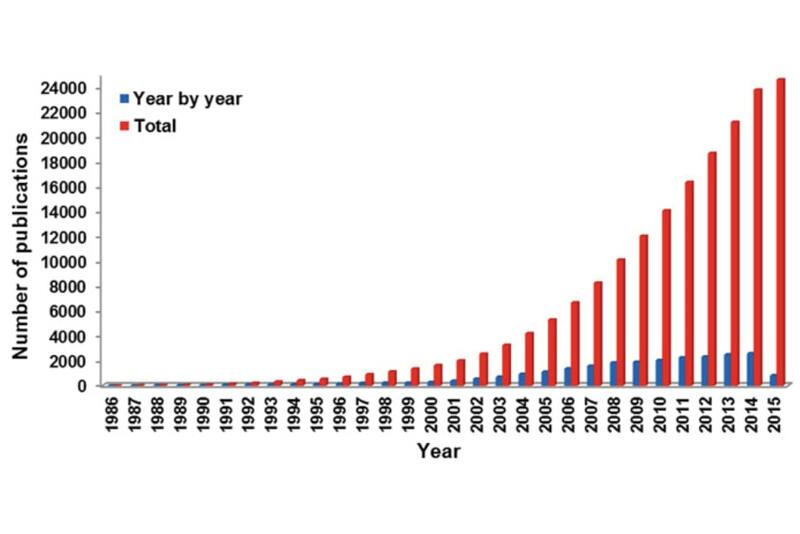 See all the blog posts covering the ins and outs of flow chemistry. 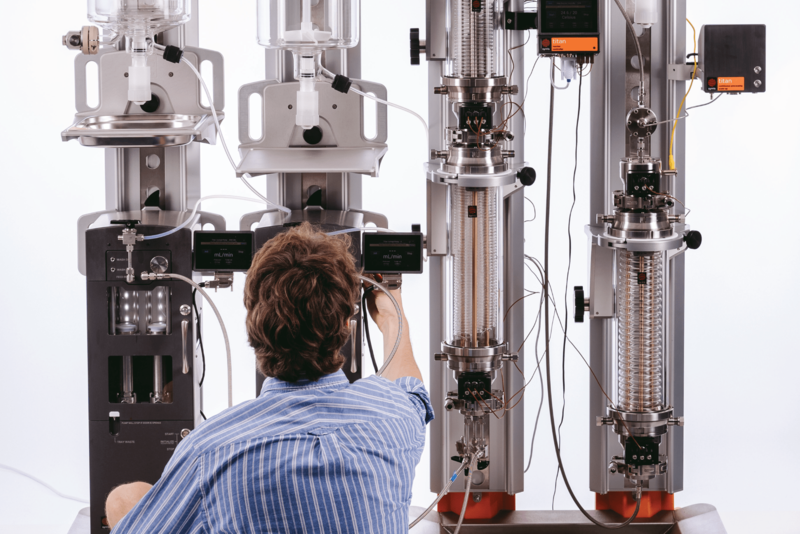 Whether you’re working with round-bottomed flasks and are looking to step into the world of jacketed reactors, or you’re already using one, speak to Syrris today to find out how you can enjoy the benefits of lab automation.